Ever dream of a lipstick that provides you with the shine of a gloss, a pigmentation of lipstick but yet the moisture and hydration of a balm? 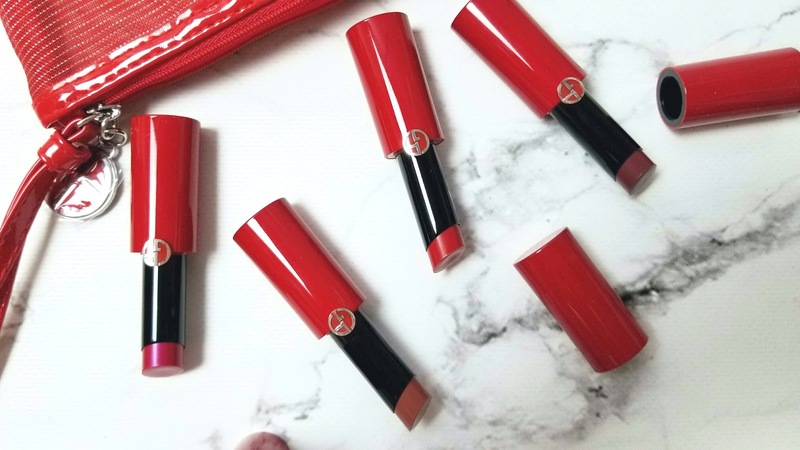 Look no further, as Giorgio Armani's Ecstasy Shine Lipsticks are just that. With just one swipe, you can see how utterly true the above statement is. 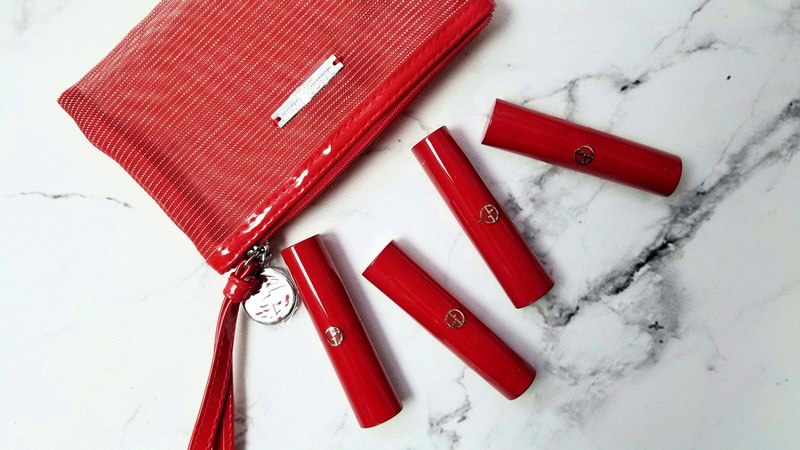 The product is housed in a sleek, high-shine red glossy packaging that contains a magnetic closure for the lid. The lipstick has a slight weight to it and everything about this casing screams luxury. I very rarely say this, but I want this lipstick in every possible color I can get, and at $43 a pop, that says alot. 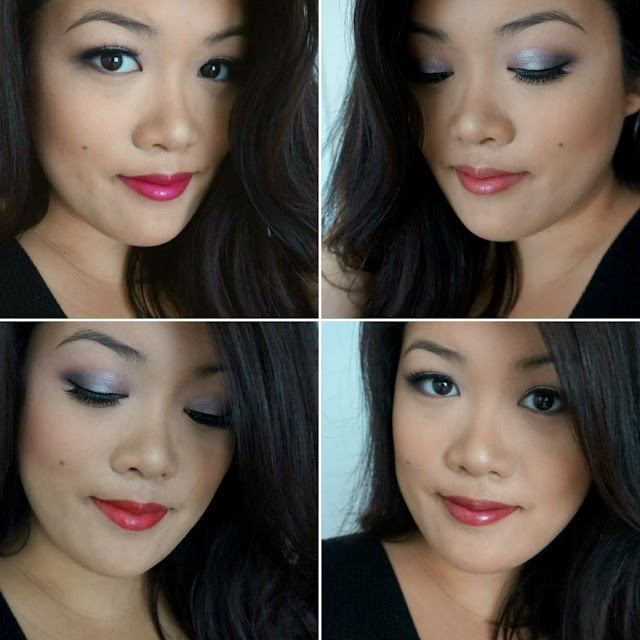 These lipsticks work well for everyone, they have a broad range of colors so that you are bound to find something that suits you. In addition, you can go natural with one swipe, or layer it 2-3x for a bolder more opaque finish. 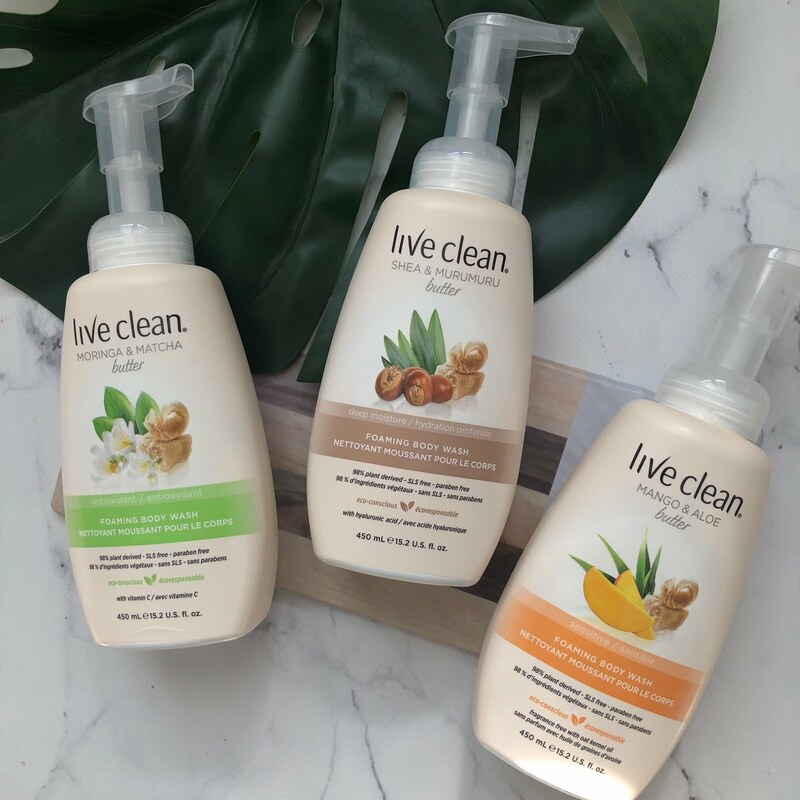 What I truly love is the multiple benefits it offers - how it moisturizes my lips while at the same time looking like a gloss, and applying like a lipstick. I love the glossiness of a lip gloss, but hate the feeling of it on my lips - it's heavy and my hair gets caught in it on a windy day. However, this these are weightless and gives your lips a wet look. 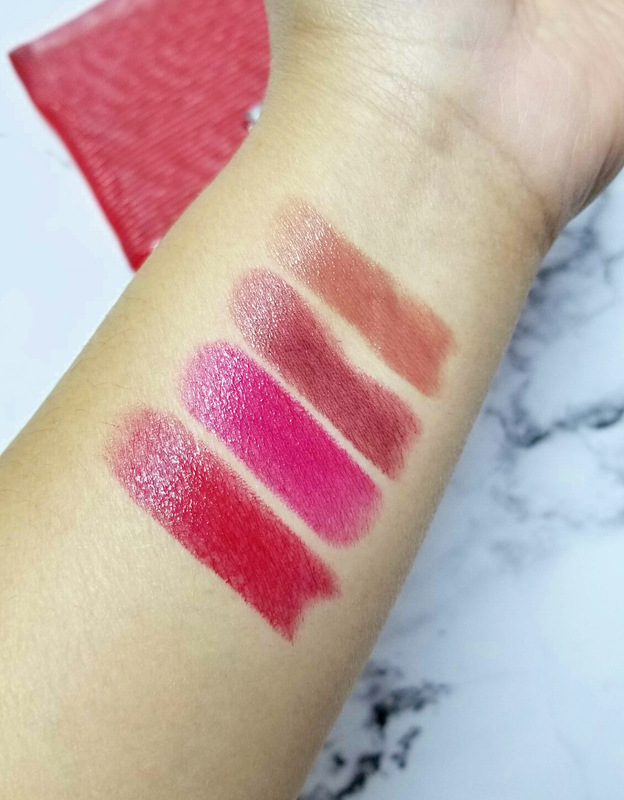 I have swatched the four I had received for review below both on my arm and on my lips so that you can see how the color translates.